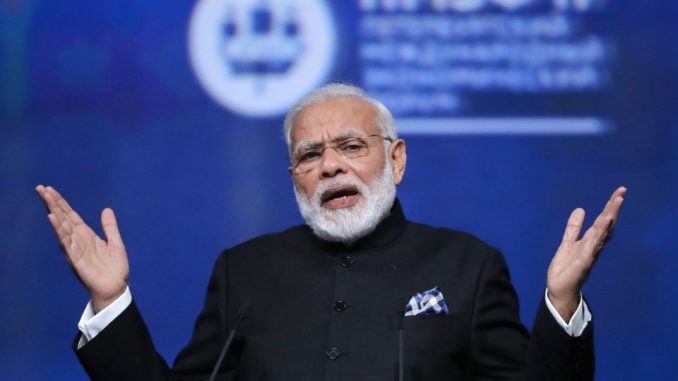 Indian Prime Minister Narendra Modi is facing anger from his core voters, “educated youth”, because of his government’s inability to generate enough jobs as he promised during the election campaign in 2014. Modi promised 10 million jobs a year, but in actuality, the total number of jobs created in the first three years of his government is just 1.51 million, which is 39% less than the 2.47 million jobs created in the previous three years (April 2011 to March 2014). And the story of a worsening unemployment situation does not end here. The country witnessed a loss of 1.5 million jobs in the first four months of 2017. An annual survey published by the Ministry of Labor and Employment found that the country’s unemployment rate was 5% in the 2015-16 fiscal year as compared with 3.8% in 2012-13. In other words, the rate of unemployment was the highest in eight years. In a country where close to 30,000 young people enter the workforce every day, the present government has only been able to add up 450 jobs per day on average. In other words, job growth is equal to less than 1% of the growth in the workforce. India is facing an alarming unemployment crisis, with job growth stagnating. The Modi government has not been able to make any headway to improve labor-market conditions. The situation has become far worse since mid-2014 (Modi took over as prime minister in May 2014). There was an absolute decline in employment during the period 2013-14 to 2015–16, perhaps for the first time in independent India. The Modi government’s failure is far more visible in the fact that 30% of youth (those aged 15-29) in India are neither in employment nor in education or training, according to a recent report published by the Organization for Economic Cooperation and Development (OECD). This is worrying for the government, which is facing massive job loss in the manufacturing sector, as this sector contributes 18% of gross domestic product and directly employs 12% of the Indian population. Many economic analysts have warned the government that the current hiring outlook in this sector is nearing a 12-year low. Other sectors previously seen as having high employment-growth potential have also started showing negative trends. For example, 67 units in the textile sector closed down during the first two quarters of the fiscal year ended in March 2017, with the job-loss figure reaching 17,600, including 14,000 employees asked to leave Larsen & Toubro (L&T). Most big information-technology companies have started downsizing their workforces, as well as some private banks, citing strategic reasons. This also shows that the organized sector is seeing a sharp decline in the growth of employment. According to a recent report published in Economic and Political Weekly, employment decline in the agriculture sector is predictably accompanied by increasing labor absorption in two industries, namely manufacturing and construction. Unfortunately, what is most worrisome at present is the absolute decline of job requirements in both of those sectors. Employment in the manufacturing sector was on the rise from the 2009-10 fiscal year, reaching 9.8 million persons by 2011-12. However, the trend then turned negative, resulting in the decline of 2.1 millions jobs in this sector between 2013-14 and 2015-16, under the present Modi government. The construction sector also experienced an absolute decline in employment in the same period, by about half a million. Fears are building that the present unemployment situation will be further complicated and may result in youth unrest and violence. Therefore, Modi needs to take this as a top priority and take necessary measures to ensure the revival of the agriculture, micro and small-scale construction, and retail trade sectors. The health of these sectors has become much worse since Modi announced demonetization and implemented a new tax system without a proper mechanism in place to manage the new goods and services tax. Modi is being criticized for government policies that have been responsible for a steady decline in GDP numbers over the past five quarters, negative credit growth in industry, no increase in investments and poor demand for electricity. As Modi’s policies are imposed in the states ruled by his Bharatiya Janata Party (BJP), they are experiencing record rises in farmer suicide rates, as the agriculture sector is in complete shambles. Modi needs to revisit his economic-policy measures. He should come out from his present denial mode and take strong action in areas of failure without any further experimentation. He needs to deliver on the promises he made to voters in the 2014 election campaign and provide jobs for the 18 million educated unemployed youth in the country. Otherwise, he may find it difficult to retain his own job for a second term as prime minister in 2019.